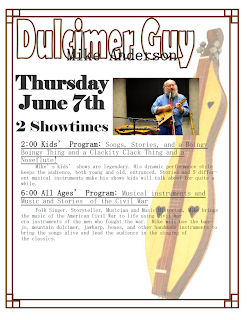 News at Spencer Public Library: Three Summer Programs TODAY: Something For Everyone! 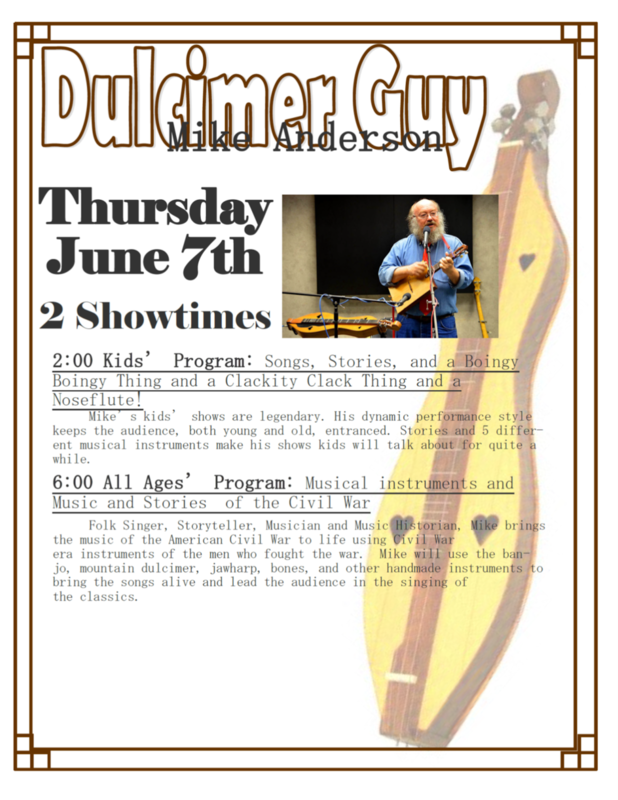 Three Summer Programs TODAY: Something For Everyone! Folk Singer, storyteller, musician, and music historian. Mike brings the music of the American Civil War to life using Civil War era instruments such as the banjo, mountain dulcimer, jaw harp, bones, and other handmade instruments. Fun for all ages!